Permeable concrete (also called porous concrete, pervious concrete, no fines concrete and porous pavement) is a special type of concrete with a high porosity that allows water from precipitation and other sources to pass directly through, thereby reducing the runoff from a site and allowing groundwater recharge. 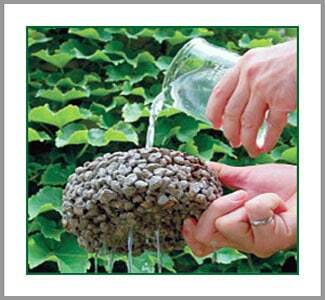 Permeable concrete is made using large aggregates with little to no fine aggregates (sand). The concrete paste coats the aggregates and allows water to pass through the slab. Pervious concrete is traditionally used in parking areas, areas with light traffic, residential streets, pedestrian walkways, and greenhouses. By capturing stormwater and allowing it to seep into the ground, permeable concrete is instrumental in recharging groundwater, reducing stormwater runoff, and meeting US Environmental Protection Agency (EPA) stormwater regulations. In fact, the use of permeable concrete is among the Best Management Practices (BMPs) recommended by the EPA—and by other agencies and geotechnical engineers across the country—for the management of stormwater runoff on a regional and local basis. This pavement technology creates more efficient land use by eliminating the need for retention ponds, swales, and other stormwater management devices. In doing so, pervious concrete has the ability to lower overall project costs on a first-cost basis. 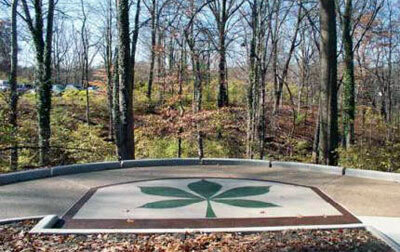 At the end of its useful life, pervious concrete can be ground up and used for fill material. It can also be made from recycled, reused, and local materials. There are no green product certifications for this material. Environmental product declaration for Central Concrete in California. There is no health product declaration for this material. « Video Games Venue for Sustainability Concepts?